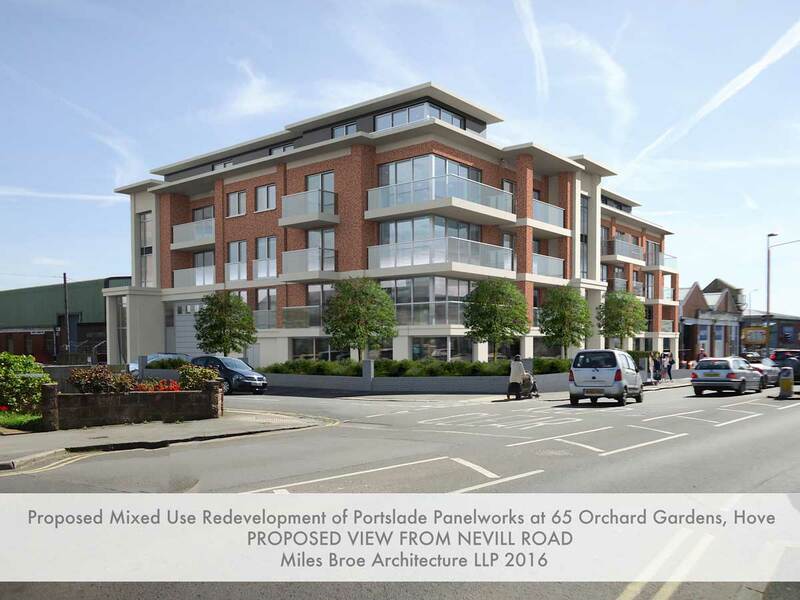 This proposed scheme regenerates an existing business premises of approx. 8000 sq ft with proposals for a mixed use development of approx. 30,000 sq ft to achieve 23 flats over offices and under croft parking.